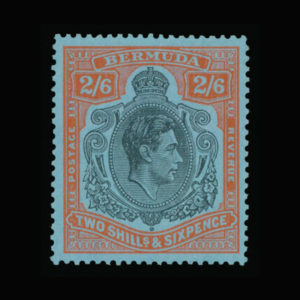 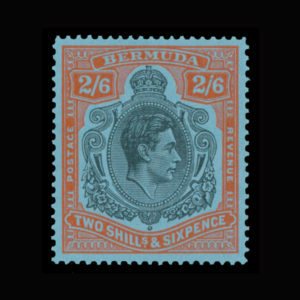 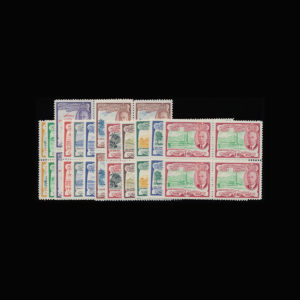 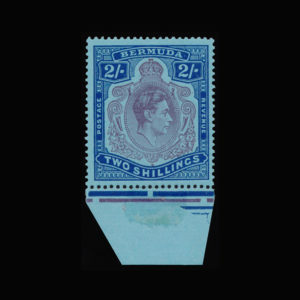 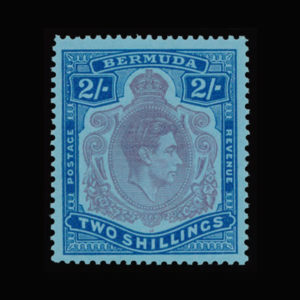 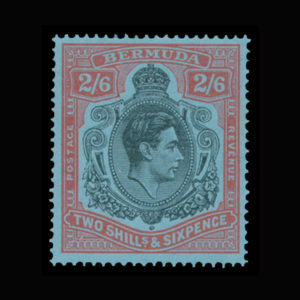 Bermuda - SG 117c var. 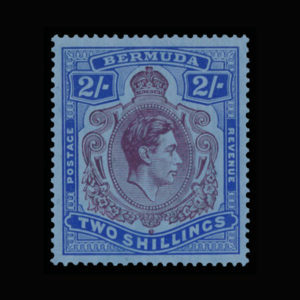 Doreen Royan & Associates (Pty) Ltd > Products > British West Indies > Bermuda > SG 117c var. 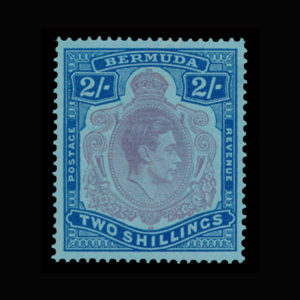 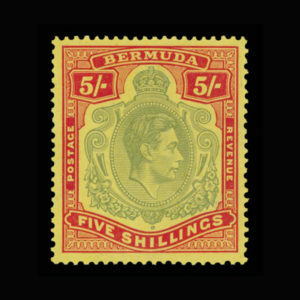 Bermuda 1950 2/6d. 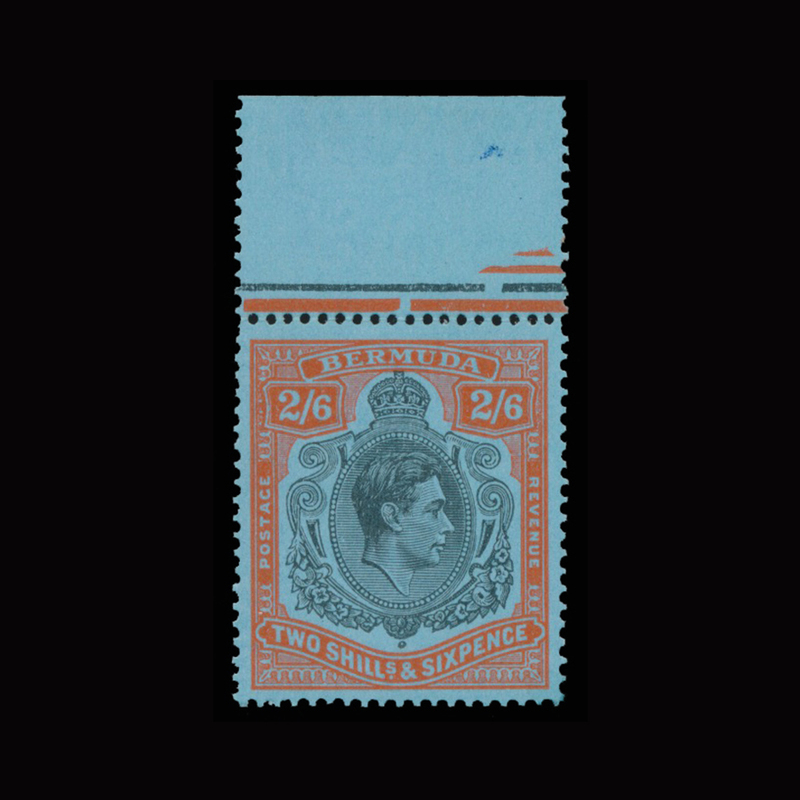 black and orange-red on pale blue paper. 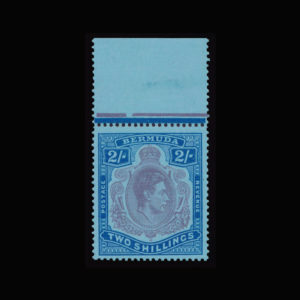 Top marginal. 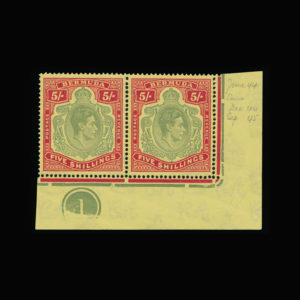 Variety, ‘HPF 6a’. 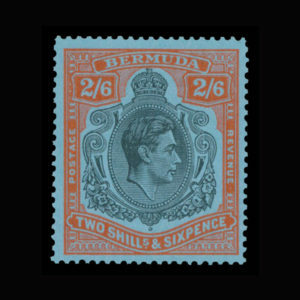 Superb unmounted mint.